Can you meet the challenges of today’s increased pace of business? In today’s hyper-connected world, a new class of entrepreneurs are challenging the status quo and revolutionizing entire industries at a pace and scale never seen before. With the opportunities afforded through mobility, big data, and cloud computing, the ability to turn an idea into a new product, capability, or even industry has never been easier. Small and midsize businesses (SMB’s), like you, are in a challenging position. You know that technology can help you bring your ideas to market quickly and broaden the awareness of what you have to offer. But you don’t have a lot of time or resources to devote to it.The right technology at the right time can help businesses proactively adapt to changing marketing conditions and compete more effectively. Proactively protect applications and data to keep your business running, while allowing you to take advantage of opportunities afforded through mobility and cloud computing. Provide better customer experiences through insight gained via a data-driven approach to acquiring and retaining customers. Improve collaboration and workplace efficiency to increase overall productivity. Reduce costs by simplifying and streamlining processes, and taking advantage of more energy-efficient products. For your SMB to be successful, you need an always-on IT infrastructure that provides the quality of service customers have come to expect, one that allows you to even out the playing field to compete globally, even disruptively, against larger competitors. You require the same enterprise-grade products and solutions as anyone else. You just need them to be affordable and right-sized for your business. Helping you to transform your business from a cost center to a value creator is where CDW and Hewlett Packard Enterprise can help. We have helped customers and partners deal with shifts and challenges in IT technology for decades. Let our vision and breadth of products and expertise work for you to help you take advantage of the opportunities afforded through technology today. No matter your size or stage of business, whether you are just starting out, building momentum, or expanding, we at CDW and our trusted channel partners, like HPE, have the right products and solutions to help you achieve your business objectives. Our commitment to understanding the needs of small and midsize businesses (SMBs) led us to develop a unique program aimed at providing SMBs with the tools required to reimagine their businesses. To support today’s culture of agility, our HPE Just Right IT portfolio includes feature-rich, purpose-built products and solutions designed for IT generalists that span across on-premise, hybrid, and cloud environments. Just Right IT supplies you with the reliable enterprise capabilities you need, simply and affordably, helping you to achieve your specific business outcomes tailored to you. The role of IT is evolving. Across industries, in organizations large and small, IT is being asked to solve organizational challenges, not just tech challenges. Doing so requires a broader focus that brings together different technologies in support of the same goal. It requires IT Orchestration by CDW. 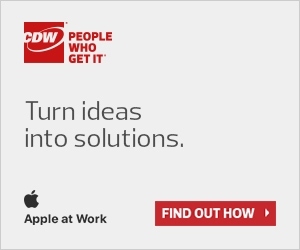 To learn more about Just Right IT click here and contact your CDW Account Manager.